1 the internet is warping our brain | This Blog Rules | Why go elsewhere? Does the title of this article shock you? Well, it shouldn’t, because the internet is really warping our brains and it permanently affects the way we process information, think and even behave. 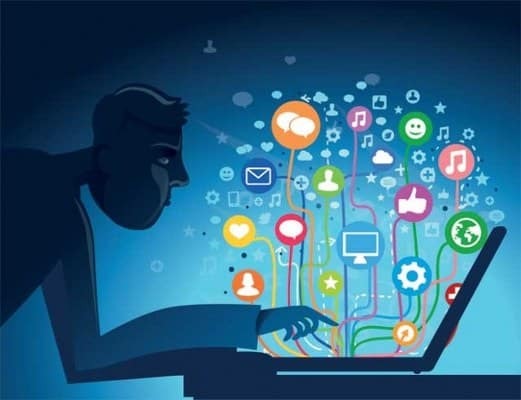 Today, we’re going to take a look at some of the way the internet is doing the damage that it is doing on our brains. FOMO is not a venereal disease, it’s another type of illness. FOMO is the acronym of Fear of Missing Out and it’s as real as an illness can be. You’ve probably experienced FOMO on a higher or lesser degree at least one time in your life. Have you ever sat alone one evening, refreshing your Facebook page, seeing how most of your friends are attending parties or events and felt depressed or anxious about it? If you have, then you’ve had FOMO. Some people will take this even further and end up changing their entire lives, just so that they don’t miss out the next big thing, the next big party or launch. Try your best to avoid becoming the type of person that would dress up and attend even the opening of a bottle. As horrifying as that may sound, it is completely true. It was discovered in 2005 that our eyes have stopped reading and skimming the way they did for ages and have adapted to the Internet. Normally, information would be taken in by a reader in a horizontal manner, from right to left (if your language reads that way). But since the Internet has gotten us accustomed to hundreds of pieces of new information every day, our eyes have modified the way they take in the information. 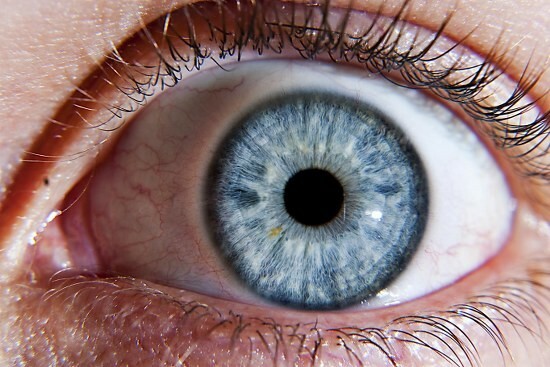 Now, our eyes do an F-shaped pattern when they read things online. Let’s say you’re reading this article: you read the first few lines, because you want to know what the article is about, but as you make your way down on the page, you lose focus and skip lines, read some more and then skip to the end. Naturally, this isn’t the case for everybody, but most people do this at least once a day when reading articles online. 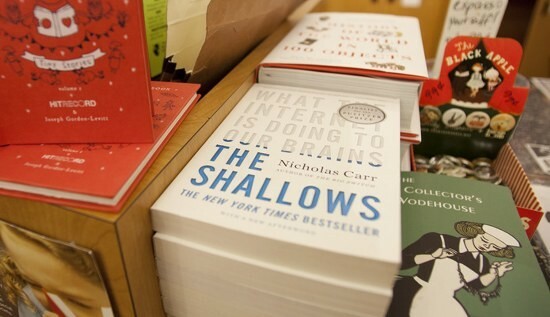 In order for you to better understand the concept, we highly recommend the book by American journalist Nicholas G. Carr, The Shallows: What the Internet Is Doing to Our Brains. The gist of it is that the Internet is changing the way people’s brain are receiving and processing the information it receives. It literally changes the way our brain is, its structure and the connections our neurons create. 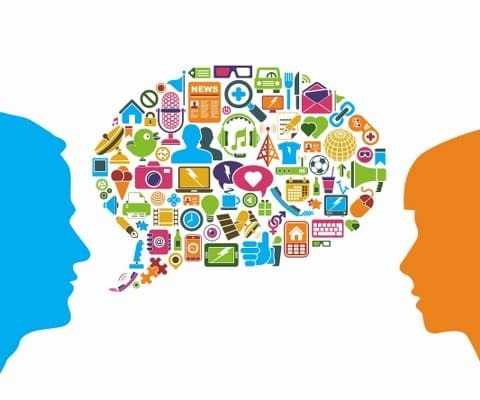 Because of all the emails, tweets, statuses and texts, human beings are losing their ability to sustain a face-to-face conversation with another living person. It doesn’t take a sociology expert to notice that more and more people prefer to stick their noses into their smartphones, instead of staring in someone’s face. Back in the day (the day, being when there weren’t any smartphones), teens would hang out like there was no tomorrow and talk about various things. Now, most teens cannot unglue their hands from their smartphones. This is a bit more serious than we can imagine. Psychologists believe that a distancing phenomenon has been created and because of it, we’ve not only become less communicative, but we’ve also lost our ability to communicate face-to-face with another person. Think about it, right now would you tell someone some news to their face, or would you rather do it in an email? Have you noticed any changes in the way you think, process information or behave since the internet came into your life? Share them with us!